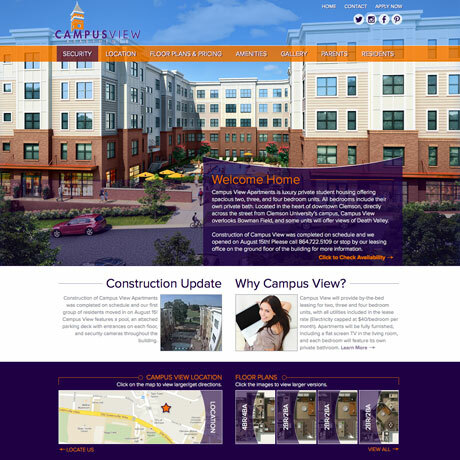 Campus View Apartments offers luxury private student housing to Clemson University Students. 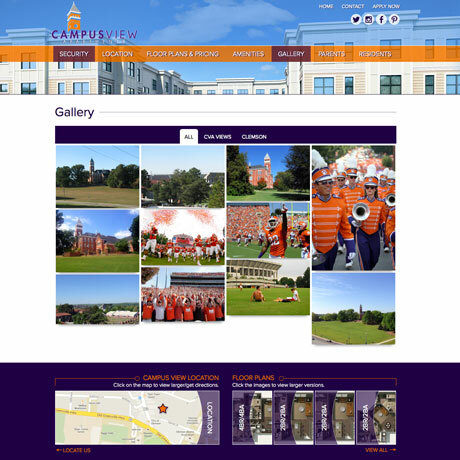 Located in the heart of downtown Clemson, directly across the street from Clemson University's campus, Campus View overlooks Tillman Hall and Bowman Field, with some units even featuring views of Death Valley. 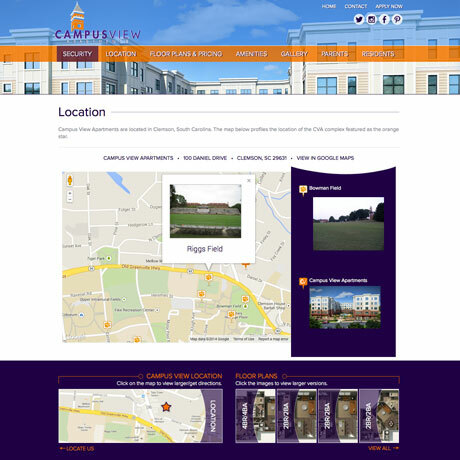 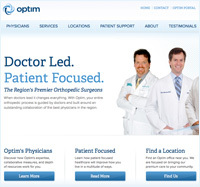 When structuring the Campus View Website, our goal was to emphasize the features and amenities available at the complex, thus we made an effort to use a large number of images and feature diagrams to accomodate this need. 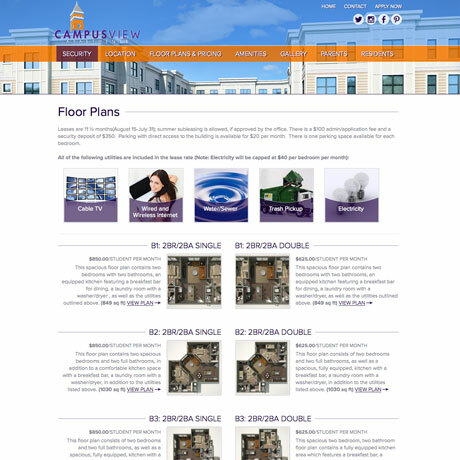 We also included detailed floor plan structures, a full amenities breakdown, and a map to display the complex's proximity to campus hot spots. A mosaic-style photo gallery was also integrated to provide additional imagery of the school and complex.